Since its establishment in 1863, the prime aim of the Bronbeek is to commemorate a special time period of Indian history. It exhibits the artefacts and documents which are related to the colonial history of Dutch East Indies. 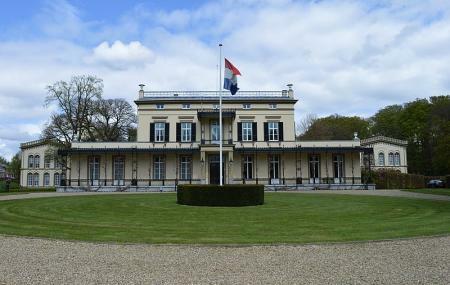 It houses an old age home on one side where it offers to serve the old and retired persons of Dutch armed forces and Royal Dutch East Indies Army (KNIL) with some basic requirements. You can find the glimpses of several commemorative monuments in the premises of the museum. Various paintings and veteran photographs are exhibited here and it keeps changing after some specified days. Bronbeek houses a separated room where you can organize various private parties. How popular is Museum Bronbeek? People normally club together GelreDome and Dudok while planning their visit to Museum Bronbeek. Well maintained museum contains the detailed history of the Dutch in Indonesia. Has personal accounts of people that lived in that era. The museum has artifacts from the Dutch East India Company to the independence movement of the Indonesians. Interesting Museum run by the Dutch Ministry of Defence covering their colonial history, mainly focusing on Indonesia. Presents a balanced view of history and does not attempt to justify or make an apology for colonialism. Although similarly it does not take extensive measures to frame dutch actions as wholely bad which is also understandable. Of note, they do state the high cost in human lives but leave the moral implications up to the visitors to decide which is an adequate step. Overall a very interesting experience even if you have prior knowledge on the history since the narrative presented is different but not insulting. Exhibits within the museum have English captions so dont be put off by the lack of English in the outdoors areas. Although getting the captions for them in English is a bit clunky since you'll need to carry around a information book which are on stands around the museum. Great museum of the Dutch colonial history. As an Indonesian, it is interesting to see our shared history through the Dutch's perspective. Stories in the museum are delivered in a concise, informative way year-by-year. I highly recommend this place, especially to fellow Indonesians! Ticket prices are also considered not expensive (especially if you have a museum kaart ;) ). After you explore the museum, consider to explore the surrounding park to see some commemoration monuments.